A complex of stone furnished holiday homes built with total respect to the local architecture and integrated into the natural environment of an olive grove which is a part of the vast Messinian olive tree valley, managing to "marry" the aesthetics with functionality, tradition and comfort and creating a fabulous atmosphere for holiday. A complex of stone furnished holiday homes. A guest house, built with total respect to the local architecture and uniquely integrated into the natural environment, where with love managed to "marry" the aesthetics with functionality, tradition and comfort and create a fabulous atmosphere for holiday. The "Great Plain" invites the visitor to discover the beauty and the unique charm of Messinia. The casual luxury that characterizes every detail embraces the senses, creating the perfect environment for short or long getaways in one of the most fascinating landscapes of the country. Made by young people, the hostel offers all modern comforts and services. All rooms have spectacular views, creating a "live frame" and offer an unforgettable stay with all the comforts of a modern luxury hotel. Rooms are governed by the triangle: comfort-brightness-harmony. Simplicity becomes a modern touch and the colors play with stone and wood. Car rental is recommended as local public transport is scarce. Marathos is located about 60 km from Kalamata airport. Various airlines offer direct flights from a number of major European cities to Kalamata. Follow the sign to Pylos-Gialova-Marathos. Several companies maintain daily ferry connections between the Italian mainland (Ancona, Venice and Bari) and the port of Patras, which is situated 200km north of Marathos (2 hours drive). Follow the signs to Pirgos-Kiparisia-Filiatra-Marathos. Marathopolis is located in the Peloponnesian province of Messinia. The distance from Athens is approximately 300 km. 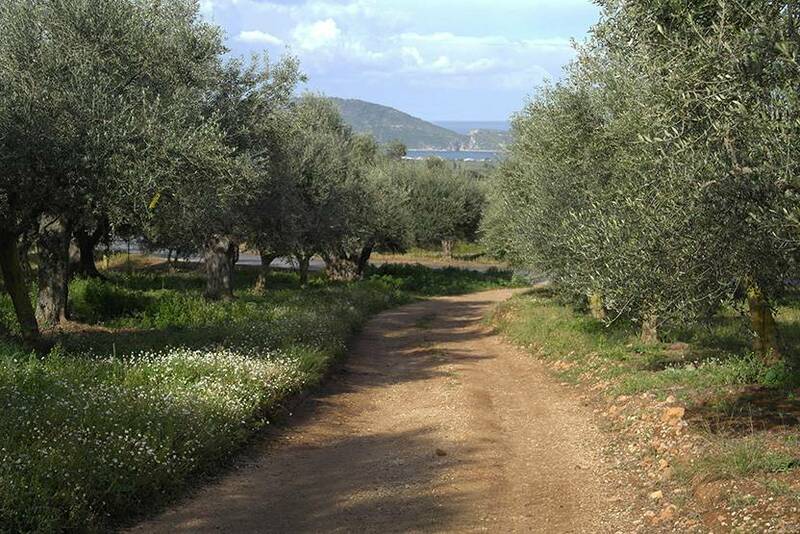 From Athens follow the signs to Corinth-Tripoli-Kalamata-Kyparissia-Filiatra(as you leave Filiatra take the local road to Marathopolis and not the road to Pylos)-Marathopolis and only then to Pylos. After you pass Marathopolis within 1 km you will see a sign for Dialiskari Villas on the righthand side. Coming from Patra: take the Patra-Pyrgos national road with direction to Kyparissia. After Kyparissia, the same instructions apply. 35 sq.m. studio. With fireplace. Fully equipped. LCD TV + NOVA TV with satellite antenna and NOVA Wifi Access Broadband and free wireless broadband internet access for all in the context of familiarity with wireless technologies and the Internet. 42 sq.m. stone built house. Large verandas overlooking the sea and the island first. With fireplace. Fully equipped. LCD TV + NOVA TV with satellite antenna and NOVA Wifi Access Broadband and free wireless broadband internet access for all in the context of familiarity with wireless technologies and the Internet. 55 sq.m. stone built house. Large verandas overlooking the sea and the island first. With fireplace. Fully equipped. LCD TV + NOVA TV with satellite antenna and NOVA Wifi Access Broadband and free wireless broadband internet access for all in the context of familiarity with wireless technologies and the Internet.